Acura's 2016 quick-to-react ILX needed an equally quick digital campaign for March Madness. Enter March Memeness, a live event on ESPN.com with NCAA Tournament commentary in the form of punny video reactions. We started by creating over a hundred unique pieces of content from the weirdest stock video clips we could find, enough to give us the appropriate reaction for whatever happened on the court. During the tournament, we updated our ESPN.com display ads in real-time to react to the live games. We also housed all of the memes on a Tumblr so that users could share the quick reaction of their choice. The all-new 2015 Acura TLX includes some exciting – and difficult to explain – technology. Most people tend to go cross-eyed when you start telling them about torque vectoring and precision all-wheel steer. In order to make the features of the vehicle more digestible, we built a companion app to the TLX brochure which launches an augmented reality layer. The app includes visual breakdowns of the TLX's unique performance technology and lets the user take the TLX for a virtual spin. 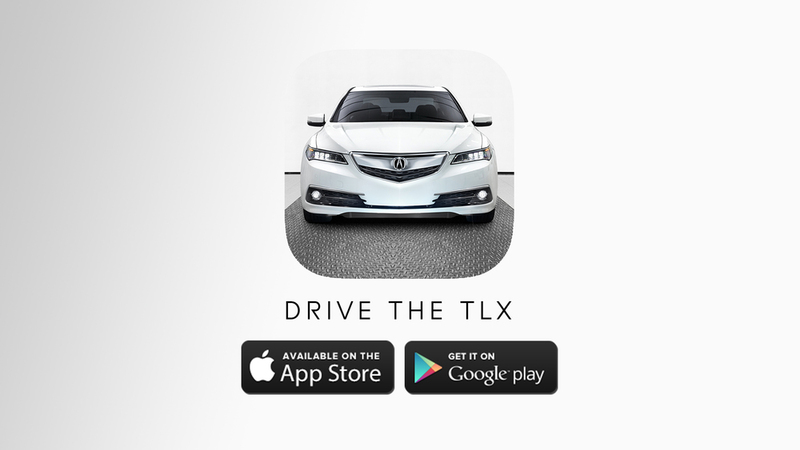 Drive the TLX is also a universal app for iPhone, iPad and Android phones & tablets. Acura had been a proud sponsor of the Sundance Film Festival for several years but had never made a big splash on the ground in Park City. Our idea was to build an interactive installation that would display the most talked about films, people and events at the festival. After having lots of great names rejected by our lawyers, we finally landed on Acura Prism. Composed of three unique sculptures wrapped in touch screens, the Prisms illustrated the social chatter at Sundance with exclusive video & static content. The experience could also be accessed online via a mobile-first, responsive microsite. BIG shout out to our partners at Fake Love & Bait Shoppe who helped bring this vision to life. Honoring the life and work of Neil Armstrong is a monumental task so we decided to make something smaller and more humble: One Small Tweet, a journey to the Moon powered by tweets. People from over 100 countries contributed via our site or by using the tag #onesmalltweet. Each tweet moved us closer to the Moon and our tribute to Neil Armstrong. Dale Chihuly turned the act of glass blowing into an art form. To celebrate his work and exhibit at the Virginia Museum of Fine Arts, we made the Chihuly app, a first of its kind piece that allowed users to create their own glass blown works based on the forms that Dale Chihuly pioneered. A co-worker was fighting with cancer. Everyone at the office wanted to send her messages of inspiration and love. Instead of just sending her voicemails, we made an app that turned our voices into unique pieces of art.